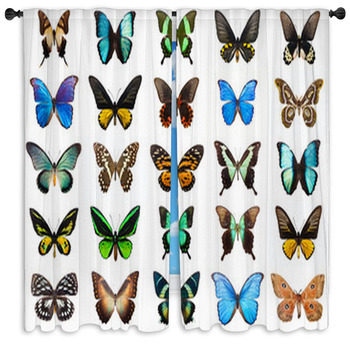 There are so many instances where butterfly window curtains can be a great addition to a room. 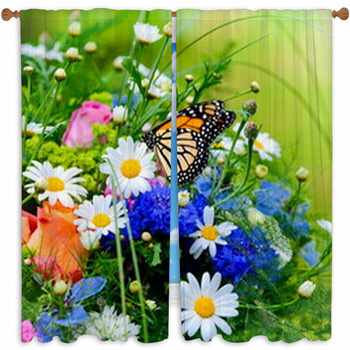 Bedrooms, bathrooms, living rooms, and kitchens can all be livened up with these beautiful accents. 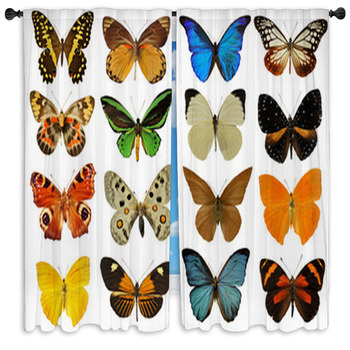 They are a neutral design, so they can simply be chosen by a person who loves to decorate, or they can be incorporated into the bedroom of a young girl who loves the fluttering creatures -- there is literally something for everybody. 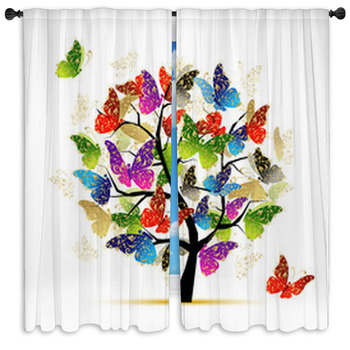 In a living room decorated with modern appeal, there are colorful, contemporary prints for butterfly drapes which make a great and dominant piece for the room. With all the colors, it is easy to decorate the rest of the room to your liking, and provide a bold accent so the rest of the furniture can remain simple. They are great for providing a bit of fun in an otherwise sophisticated design scheme. 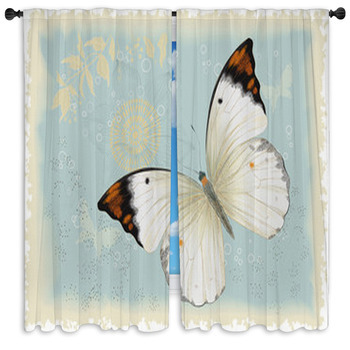 Butterfly designs make for a great piece of decor in the bedrooms of little girls. With fluttering, rainbow wings and swirling backdrops, these accents are fun to look at and adhere to little girls' love for butterflies. 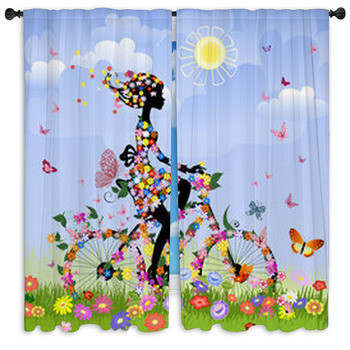 Since they are girly, abstract, and dreamlike, when the sunlight comes through these curtains the bedroom of a little girl will suddenly feel like the domain of a fairy! It is also great to use them as bathroom window curtains. 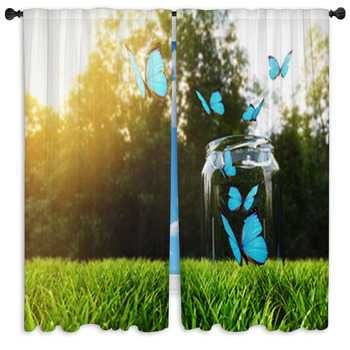 They provide the perfect not-too-serious design scheme which can easily be accented with wall decals, hooks for shower curtains, and other butterfly decor items. Using a sort of back-to-nature theme in the bathroom opens up the possibilities to accessories printed with flowers and trees -- very modern but also very homey! 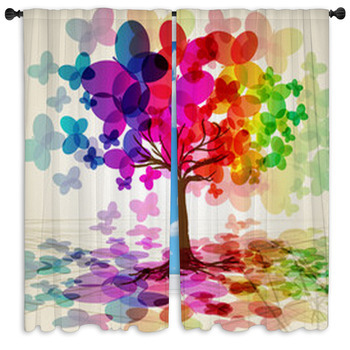 Abstract butterfly designs on window curtains also make for a great pop of color in the room of a young adult. The abstract swirls are interesting to look at and will give the room a very artsy feel. However, the femininity of the room will be maintained with images of artistic sunflowers and the colorful wings of the graceful creatures. 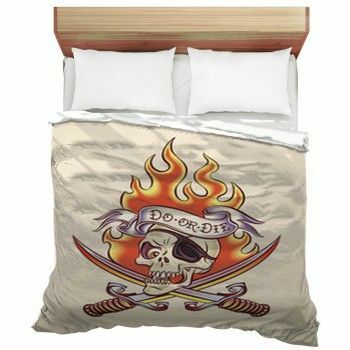 They are the perfect way to show off color and depth, giving the room lots of personality. 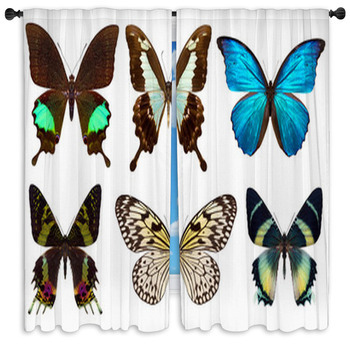 Using butterfly curtains is a good idea for almost any room. 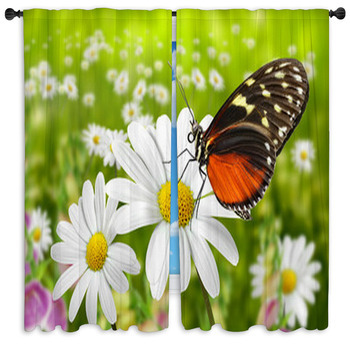 Designs with more natural, earthy color schemes can be chosen to give bathrooms and living rooms an outdoorsy appeal, while rainbow, abstract, fairy-like butterflies can be incorporated into the rooms of girls and young adults. 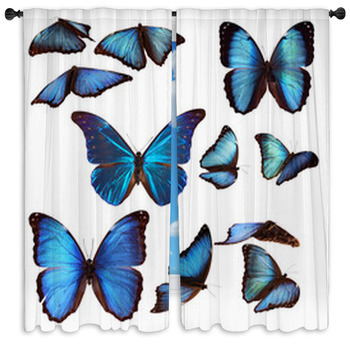 They provoke the imagination and make the room's owner feel as though the bedroom has become a sanctuary of butterflies!.